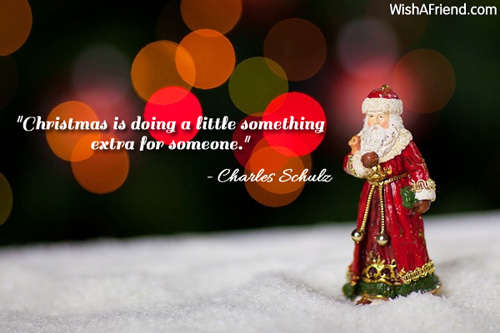 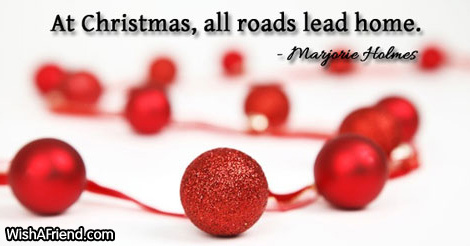 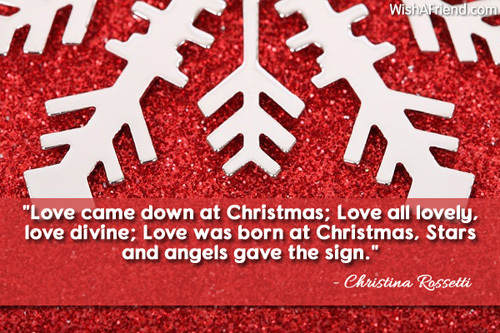 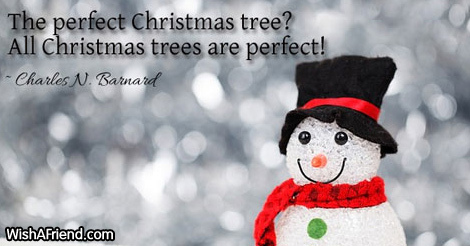 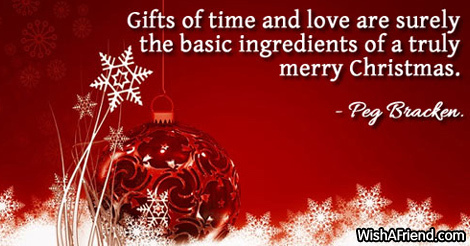 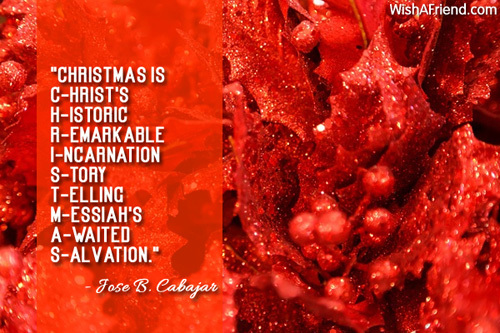 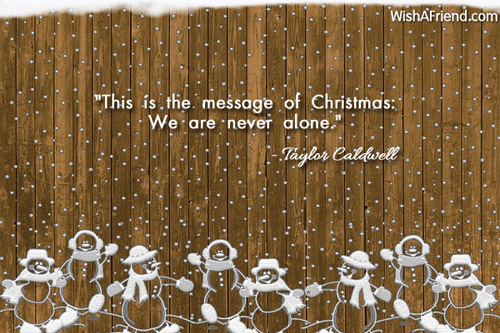 Send greetings for the season with Merry Christmas Quotes to friends and family share with your your loved ones via Text/SMS, Email, Facebook, Whatsapp, IM or other social networking sites. 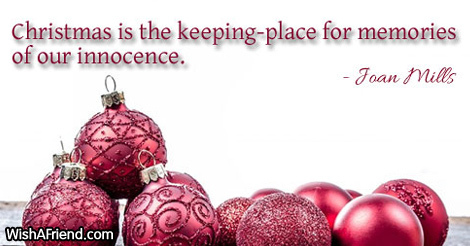 "Christmas is the keeping-place for memories of our innocence." 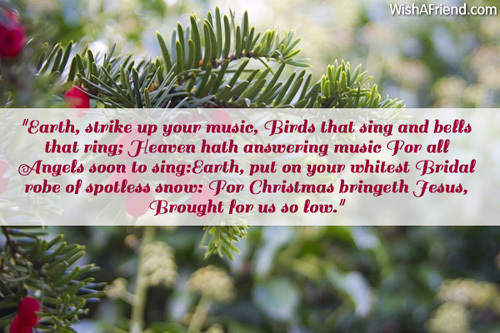 "Earth, strike up your music, Birds that sing and bells that ring; Heaven hath answering music For all Angels soon to sing:Earth, put on your whitest Bridal robe of spotless snow: For Christmas bringeth Jesus, Brought for us so low." 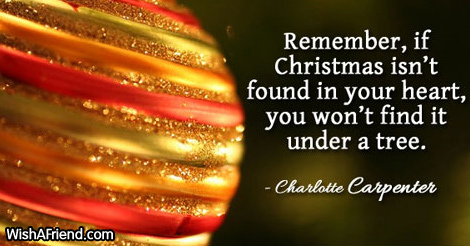 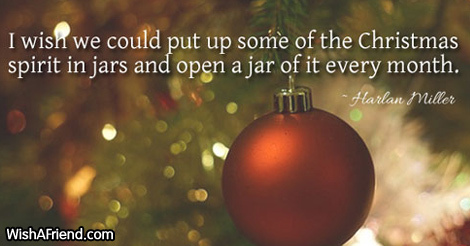 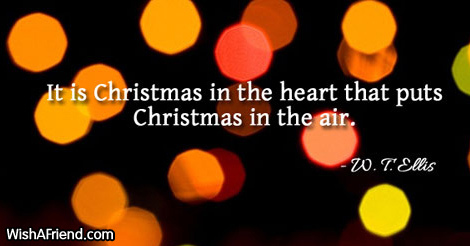 "Christmas, in its final essence, is for grown people who have forgotten what children know. 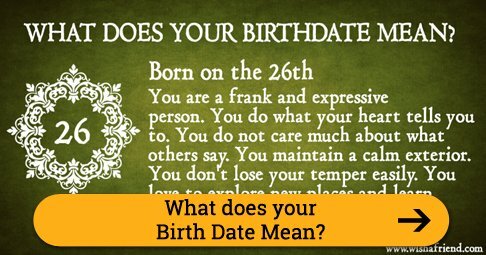 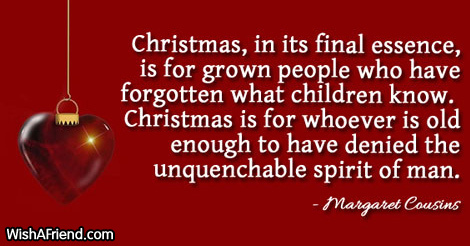 Christmas is for whoever is old enough to have denied the unquenchable spirit of man." 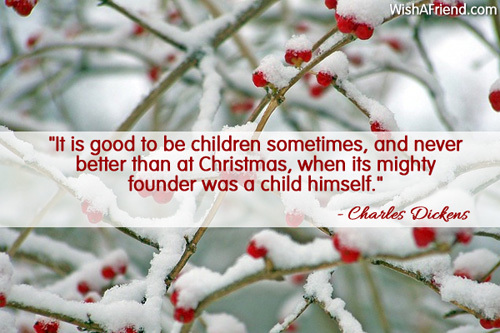 "It is good to be children sometimes, and never better than at Christmas, when its mighty founder was a child himself." 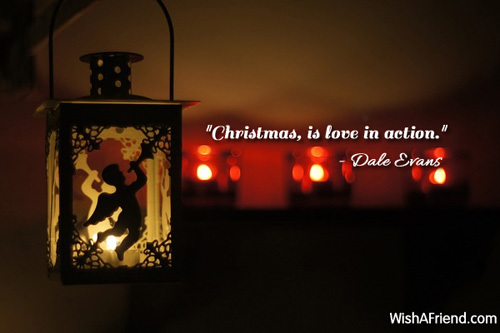 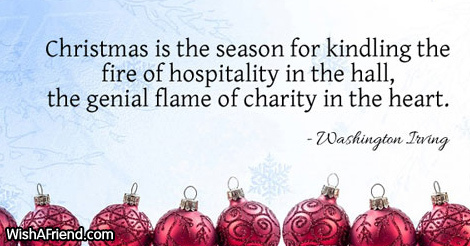 "Christmas, is love in action." 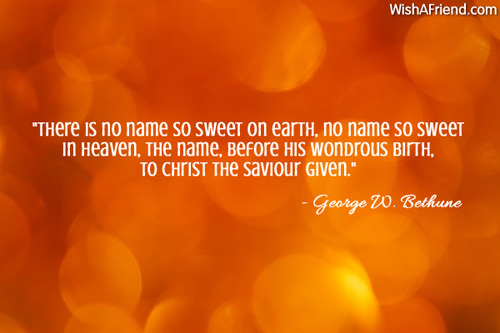 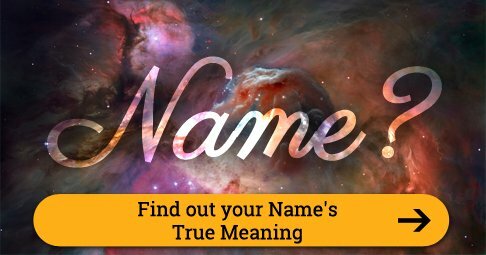 "There is no name so sweet on earth, no name so sweet in heaven, The name, before His wondrous birth, to Christ the Saviour given." 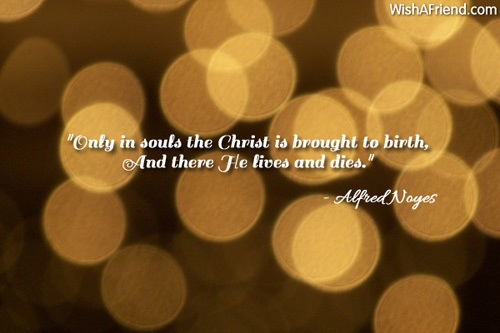 "Only in souls the Christ is brought to birth, And there He lives and dies."